I just had to share a few more pics from Christmas! We had a grand time in Kansas. First time we have ever gone there for Christmas – my Sister and her family and my Brother usually come here. This year they had all just come here a couple of weeks earlier for our Grandma’s funeral, and my Brother started a new job immediately after returning home, so he would not have been able to come back for Christmas. It was a good year for us and my parents to travel west! 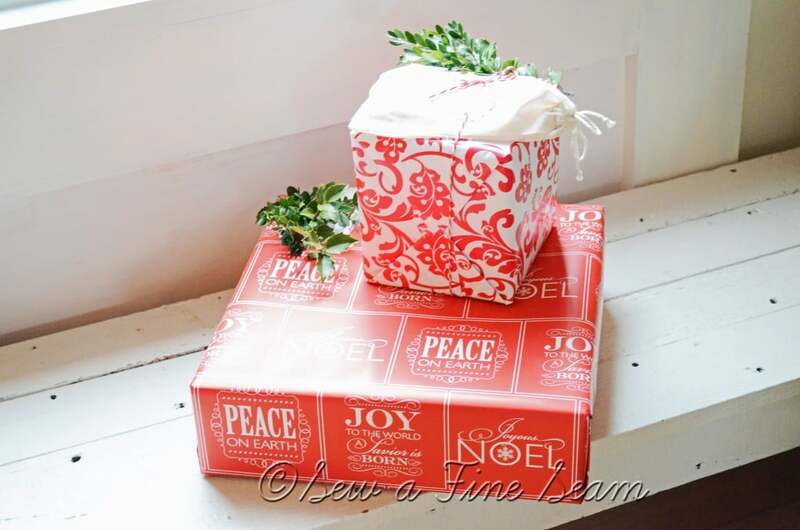 I did very little wrapping other than for the guest post I wrote. I handed most of it off to my 13-year-old. She got busy with the duct tape and the rest is history! Some of my sister’s lovely decor. 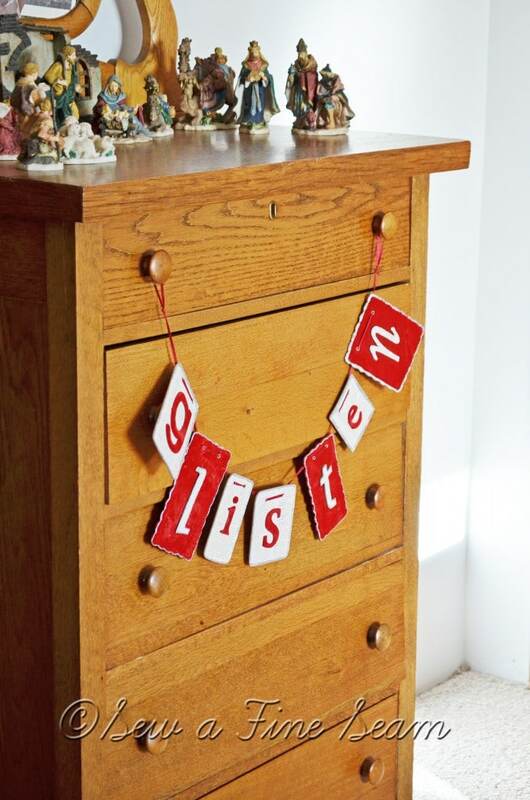 I think this ‘glisten’ banner would be a really fun idea to put on my ‘crafts-to-make’ list. 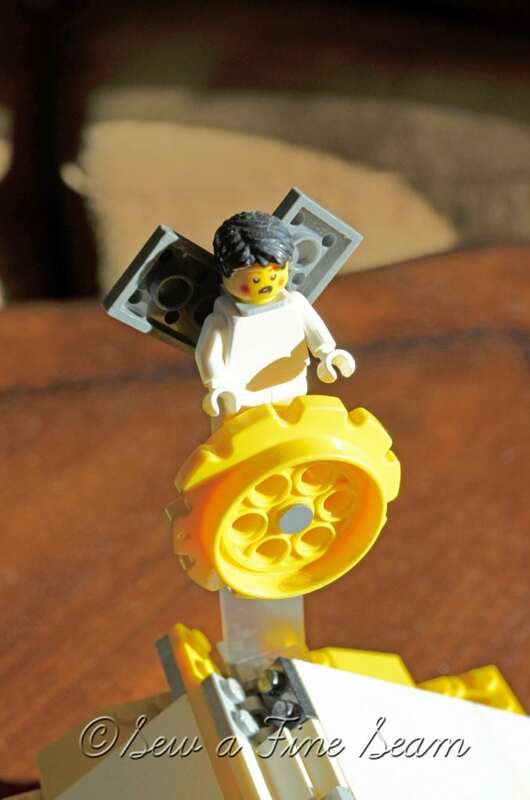 The angel on top of the Lego nativity my Nephew built. 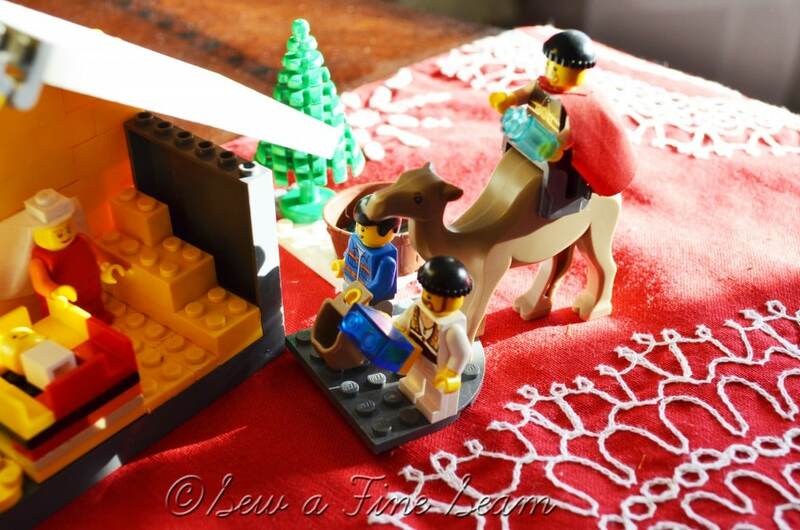 Wise Men and their camel. Shepherds, sheep and a drummer boy. Isn’t that drummer boy just the best?! 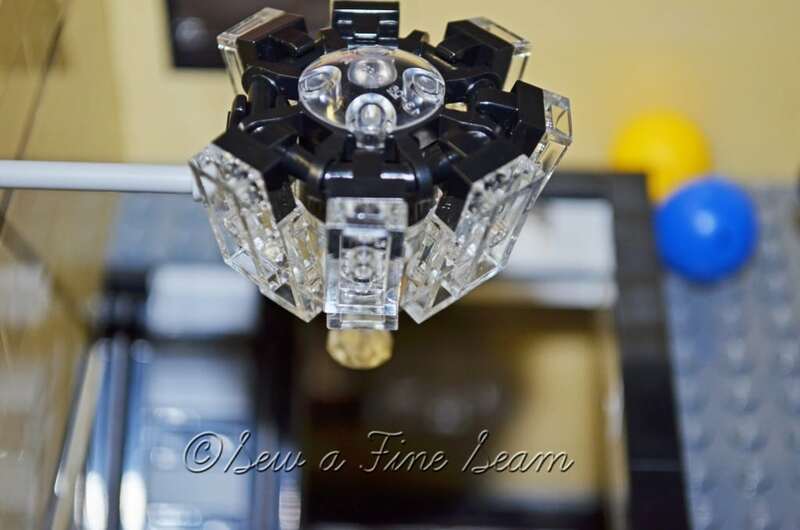 My Nephew did all this from scratch – I think it is just wonderful! We tend to be Colts fans. And also Peyton Manning fans. 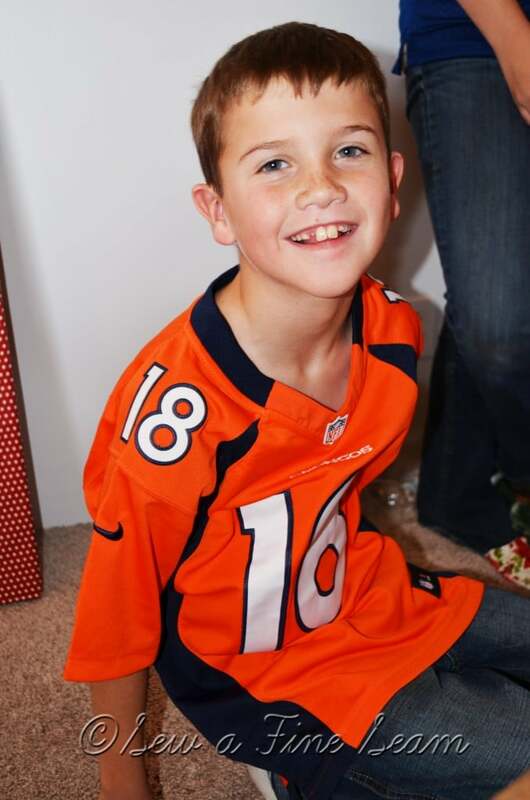 My Nephew stuck with Peyton, while My teenager stuck with the Colts! Larke has decided she wants to be a scientist. 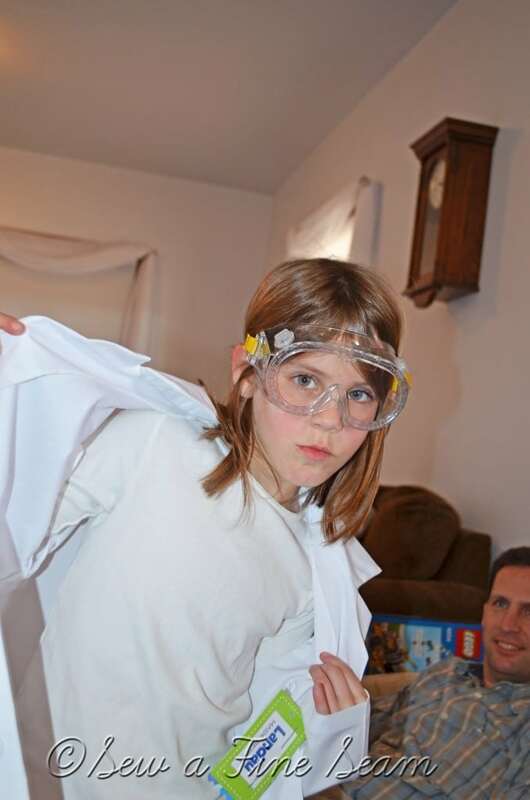 (of course since this is the year I decided to skip science) She was thrilled with her lab coat and goggles. She also got a science kit but it had to be left behind on the pile for my Mom and Dad to bring home. We just didn’t have enough room to get everything in. The details in the Lego sets today is just amazing! I could get into putting a set together myself I think! Mannequins in the window of the Emporium. Like I said – Awesome detail! 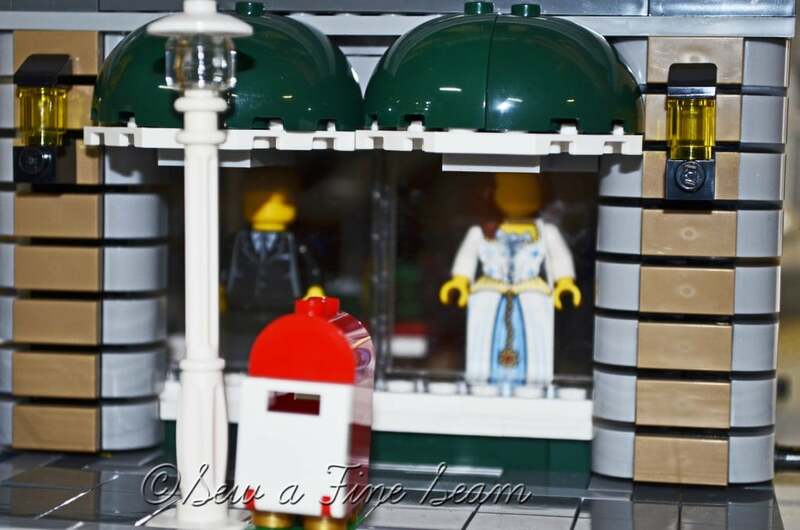 Dressing room, cash register, merchandise display. 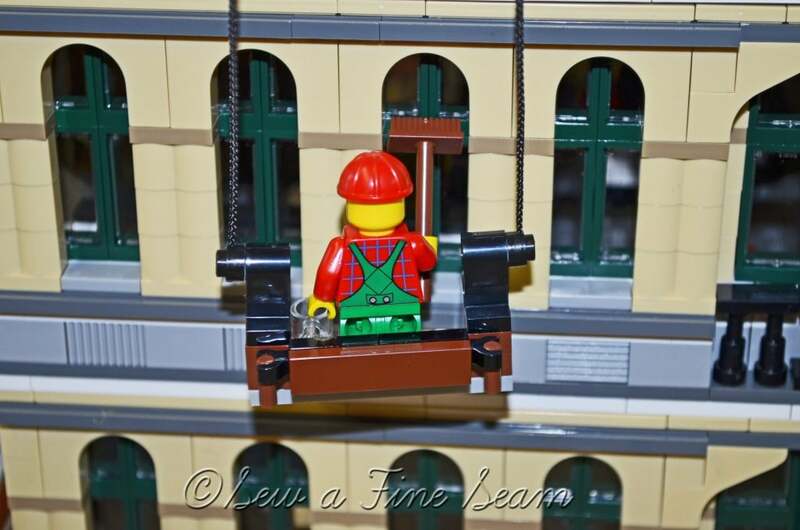 There is even a window washer for the Emporium! Becca was finally able to put a set together all by herself – her sisters were busy with their own sets! They tend to talk her into letting them put her stuff together. It was so fun to see her realize she COULD do it! She put her garage and cars together all by herself. WooHoo! 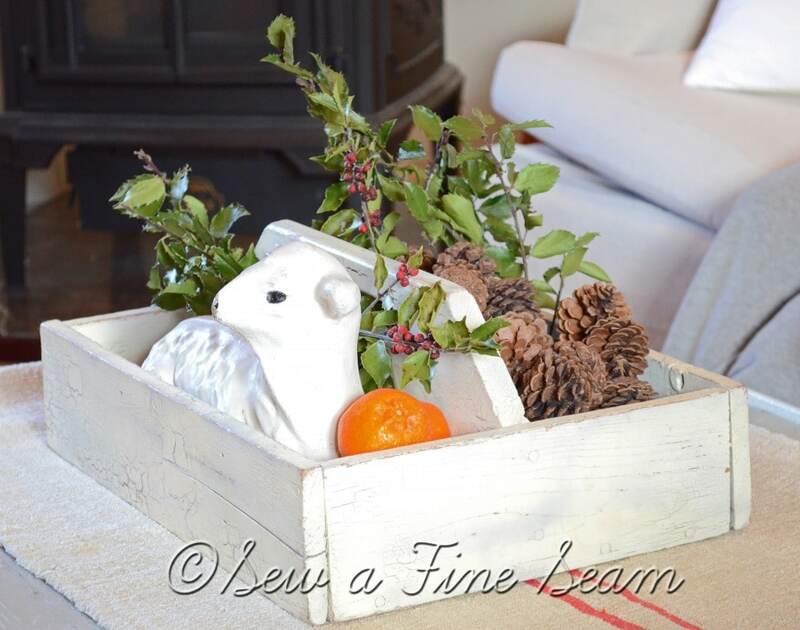 It was an awesome holiday and now we are facing a whole new year – spread out before us, clean and white and empty. What will we fill it with? What memories will we make this year? What goals will we meet? May we one and all strive to do ALL to the glory of God! looks like a lovely time with family! Happy and Creative 2013! 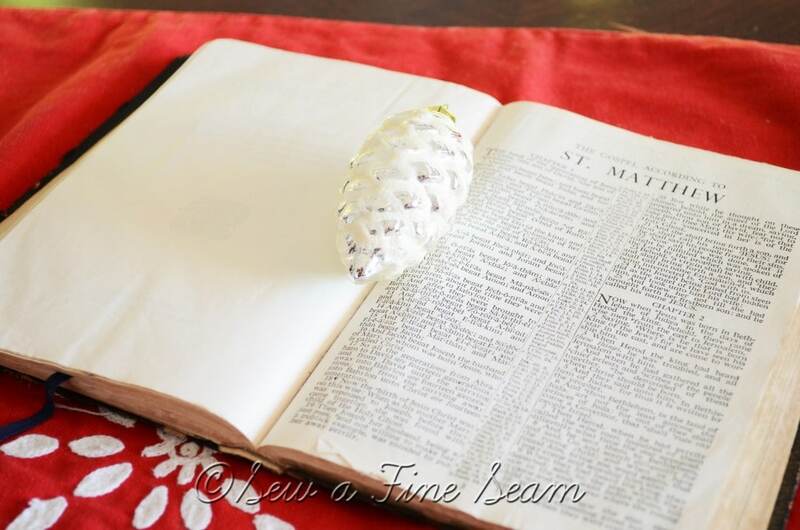 I got the paper at hobby lobby – half off too! it is nice thick paper with the grid lines on the back – huge roll $4. i should have bought more! I love paper with the grid lines on it. I just bought cheap paper at Wal-Mart this year. NO GRID LINES-thin and tore easily, but it was cute. 🙂 I’d have bought more paper but I’ve done that before and by the time another year rolled around I wanted something different! What a fun time we had! I love all the Legos too. I love toys-at least certain brands! 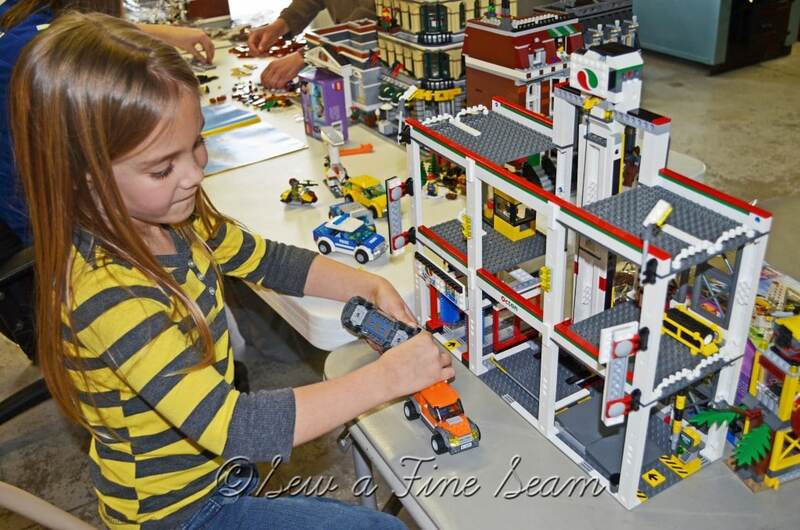 It was fun – and you have such a great house for them to spread lego stuff out! you should see L and B’s bedroom!!! We have a house full of Legos. Thanks for sharing the pictures. Kellie, I found the coat and goggles online – Amazon I think. So glad that you had a nice Christmas! 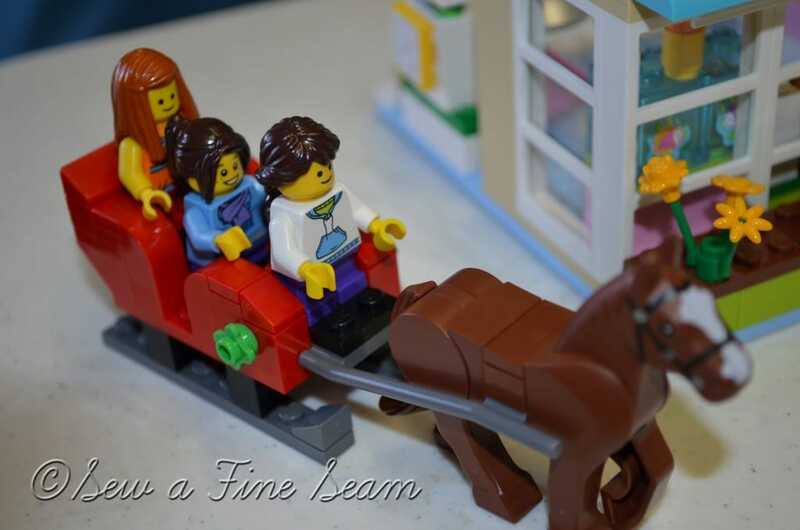 The lego’s are great! My son plays with legos and has half of his bedroom full of them. I can barely walk in there sometimes! This year he didn’t get any (probably because he has them all practically – ha!). This year, it’s all about nerf guns. Now, my house is full of nerf darts. It never ends, does it? Thanks Kelly! 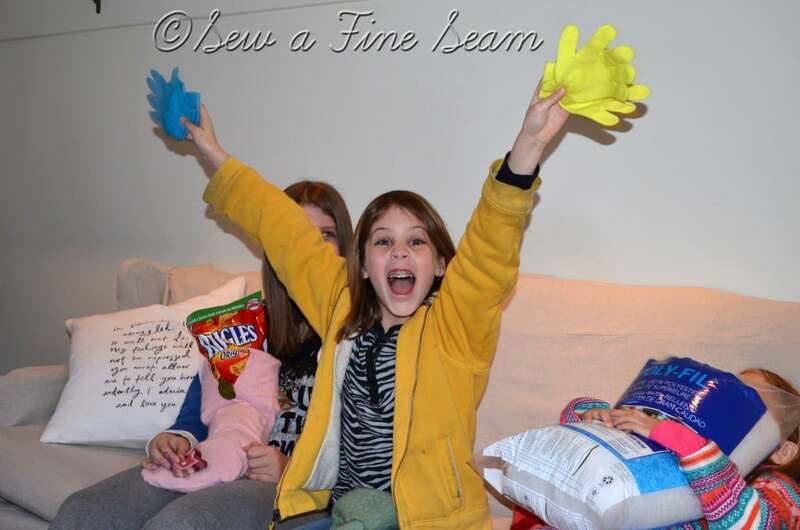 I won’t be mentioning the nerf guns to my girls – they would want them too! What happened to little girls playing with dolls? LOL! Man, those are great lego sets. I can’t believe they already have them all put together! 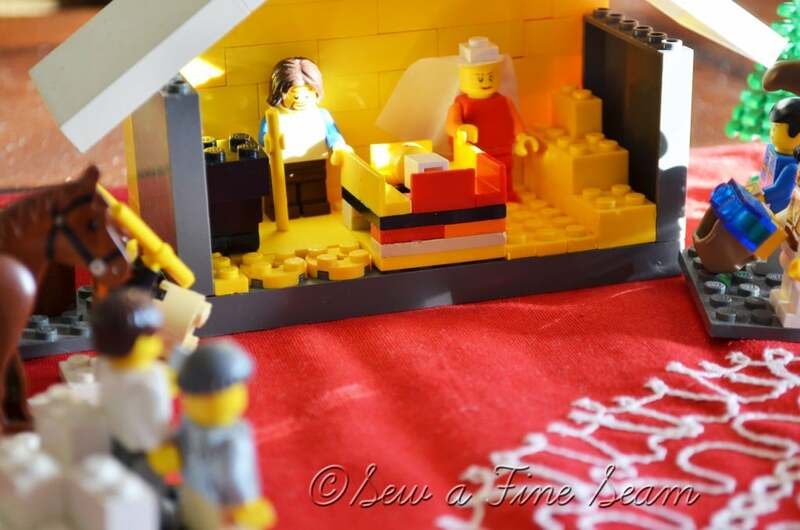 I especially love the nativity one. Ingenious. I’m with you on the banner. A great idea for next year. I think I’ll pin it. Great post. As for the lightbulb stockpile, better get ’em while you can. My Target is already almost out. I’d have bought all they had if I’d had the money, but I didn’t want to go broke on them, so I just bought an armful! Oh Liz, you should have seen them go at it! They had stuff built the same day they got them! 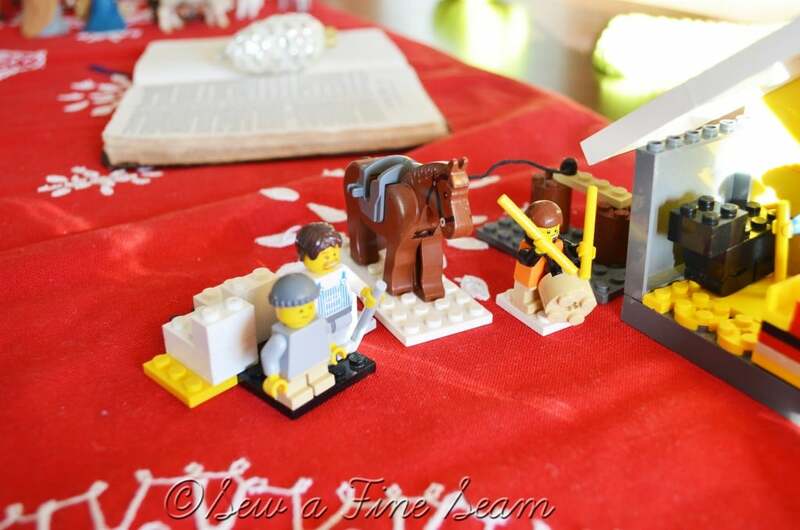 And I was so impressed with my Nephews creativity with the nativity. He has built a bunch of neat stuff from scratch – he inherited my Dad’s engineer’s mind I do believe! It looks like a wonderful time! I love that glisten banner too! You should make them and sell them next year! KariAnne I thought of that! If I can find the time I just might. Mabye I should start on them now! I am impressed with your husband’s wrapping skills. 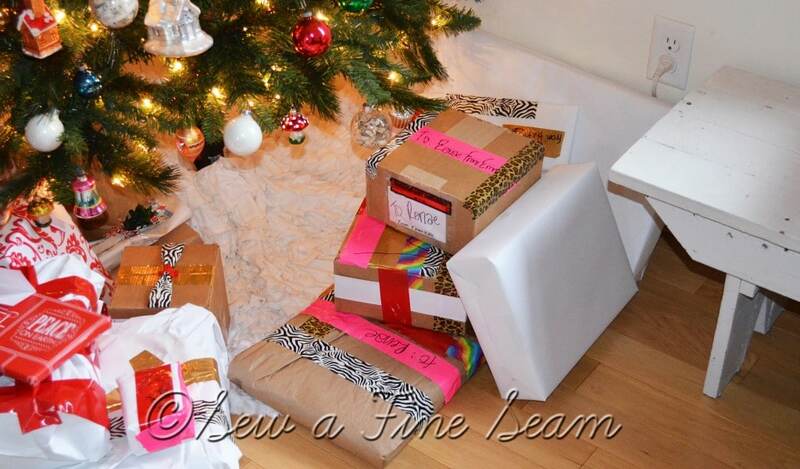 And, I can’t wait until Grace is old enough to help me wrap, even if it does mean duct tape :). Legos really are big in your family. I am amazed at all the details. It really looked like a wonderful Christmas. 🙂 Thanks Amy. 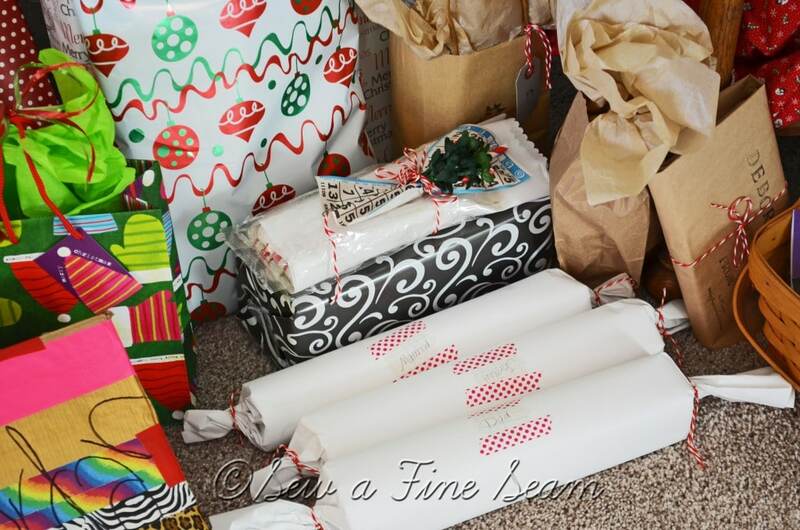 I was quite satisfied with the duct tape – I just wasn’t into wrapping gifts this year – too many other things going on. Legos are about the only thing my kids want to play with these days! Looks like you had a fabulous family celebration — thanks so much for sharing with us! And those Lego sets are A-M-A-Z-I-N-G, right? My 15-year-old even asked for one this year again! 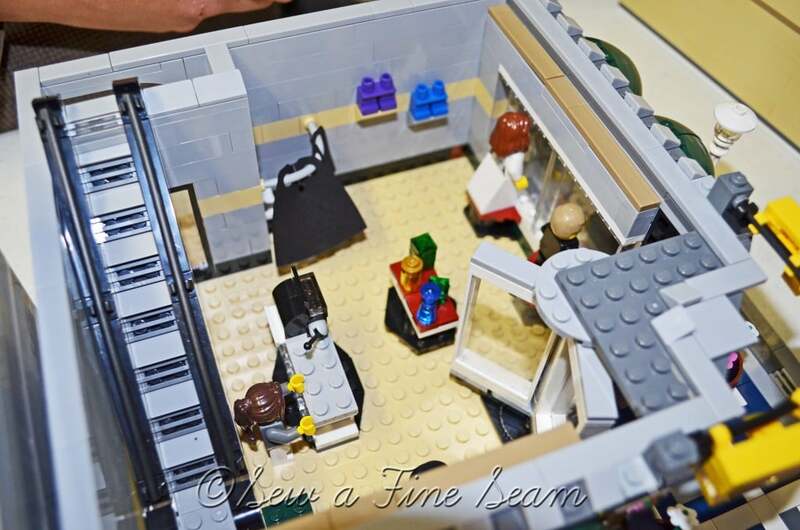 Thank you Linda – yes we had a wonderful time and yes the Legos are truly amazing! Re: what you said about your sister’s tile and now having a bigger nicer house, I’ve already been here almost 27 years with my pink tile, I got gyped. Where’s my bigger nicer house? 🙂 Actually, I think a small house becomes more and more of a blessing each day, and lots of design problems means plenty of reasons to play around decorating and fixing things up, or at least I try to think of it that way. Yeah, you got gypped! Old houses have a whole personality all their own. Ours is over 100 years old and was super cold before we got it insulted. They do have great character so we have to focus on that huh?! Isn’t it great when they can finally build the legos! Thank you for joining Home Sweet Home! 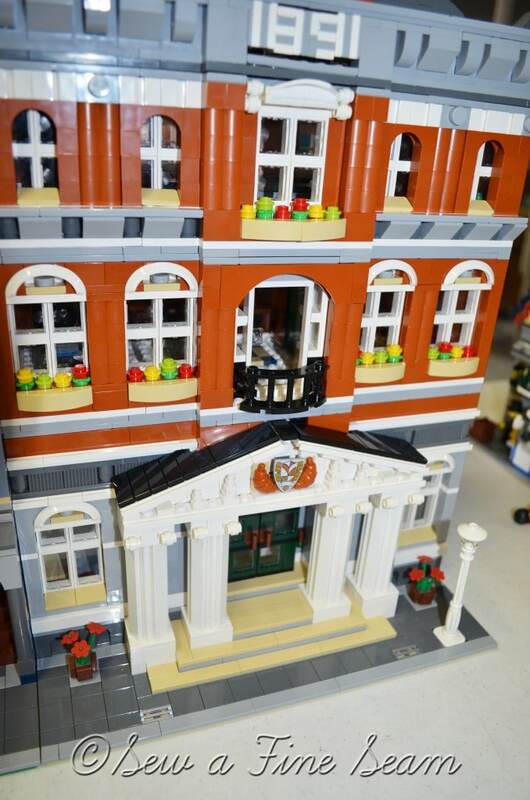 I love the creativity that comes out through building with legos. My favs are when they create something on their own. And when they at least clear a path for me to tuck them in at night so I’m not stepping on legos! It is really in fact a nice as well as valuable item of info. We’re happy that you simply provided this useful details with us. Remember to be united states updated this way. We appreciate you discussing.